Improbable Fictions presents a staged reading of Hecuba, Euripides’ other great tragedy about Hecuba and the women of Troy, written before Trojan Women, and taking place about three days after the events of the second play. A timeless and terrifying tale of loss, betrayal, and revenge by a group of powerless, voiceless prisoners after the cataclysmic destruction of their city and way of life. Free Admission! A $1 donation to the Bama Theatre Restoration Fund is recommended. 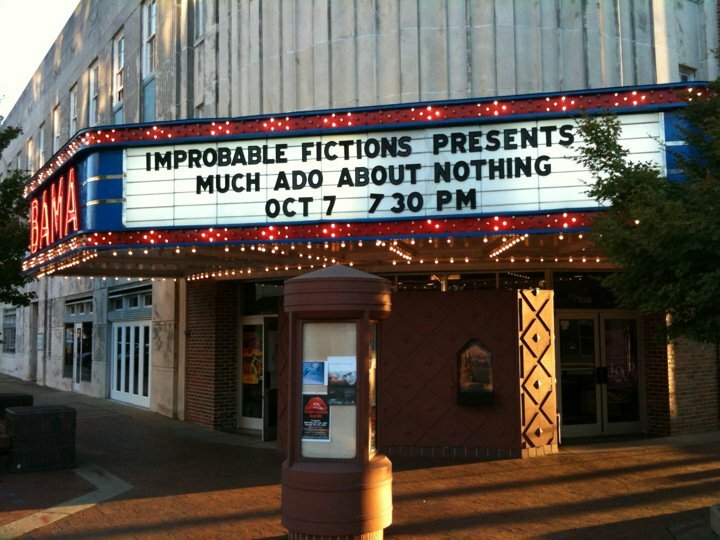 Improbable Fictions is sponsored by the Hudson Strode Program in Renaissance Studies, the University of Alabama English Department, and the University of Alabama College of Arts and Sciences. If you’re interested in picking up a script and reading for one of our events, please email the director of the show you’re interested in with your contact info, a brief theatrical bio, and any preferences as to part. If we’re not familiar with your previous theatre work (or if you haven’t done any! ), fret not: Improbable Fictions is always open to newcomers, and one of our directors can easily schedule an informal audition. Rehearsals for each staged reading will be the Monday-Wednesday of the week of the performance. Be sure to subscribe to the blog for details on these and other events, or check us out on Facebook.